Festival weddings are fast becoming an extremely popular wedding theme, perfectly suited to more relaxed, quirky couples who are looking to have a big day with a difference. As appealing as a day outside in the Great British outdoors with all your friends and family enjoying cold beer and music sounds to us, we couldn’t help thinking – what do you wear to such an occasion? And more specifically, what do you wear on your feet? For the ladies – heels sinking into the grass is not the one. For the men – you don’t want to ruin those nice leather soles now do you?. So here are our five ideas for appropriate festival wedding footwear that’ll still make you feel special. The gold standard in festival footwear, and what seems like an obvious choice for a similarly themed wedding. But how do you pair the humble welly with your wedding finery? For brides – why not opt for a pair of white wellies with added decoration? Or perhaps go for sparkly or a colour pop if you’re feeling adventurous? For grooms – plain black would look suitably smart paired with a suit. 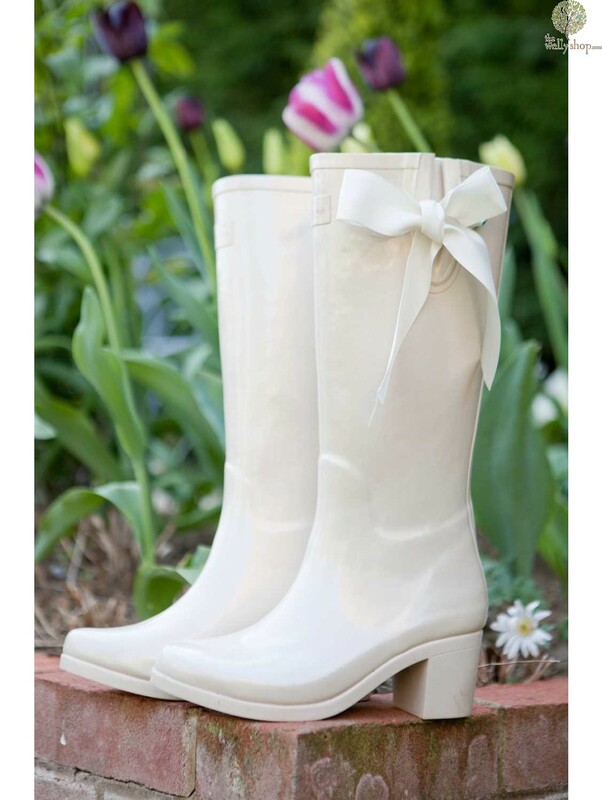 Or why not go all out with a special pair of “Weddington Boots” – these come in a lovely pearlescent white with a pretty ribbon and bit of a heel to make them extra special. 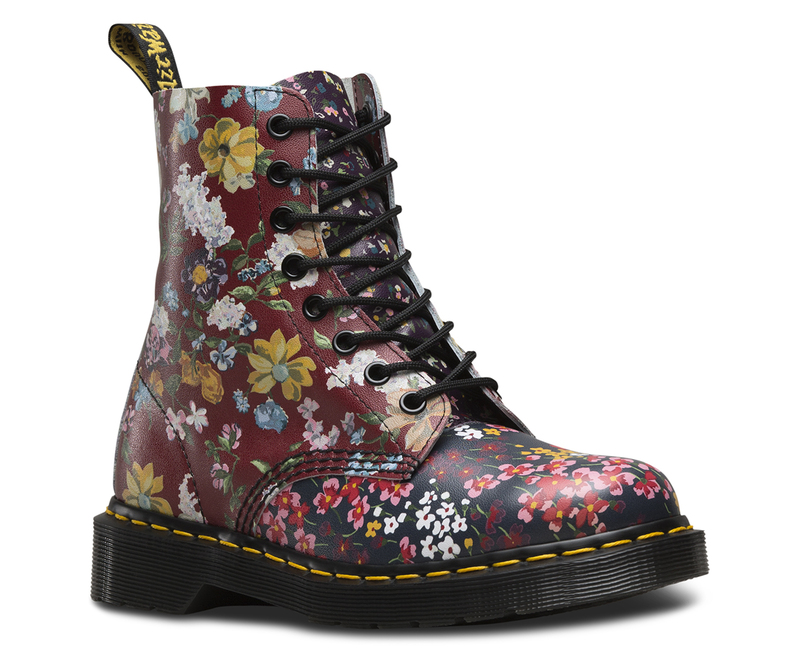 The Doc Marten is another shoe which is made for all weathers, making it perfect for festival footwear. 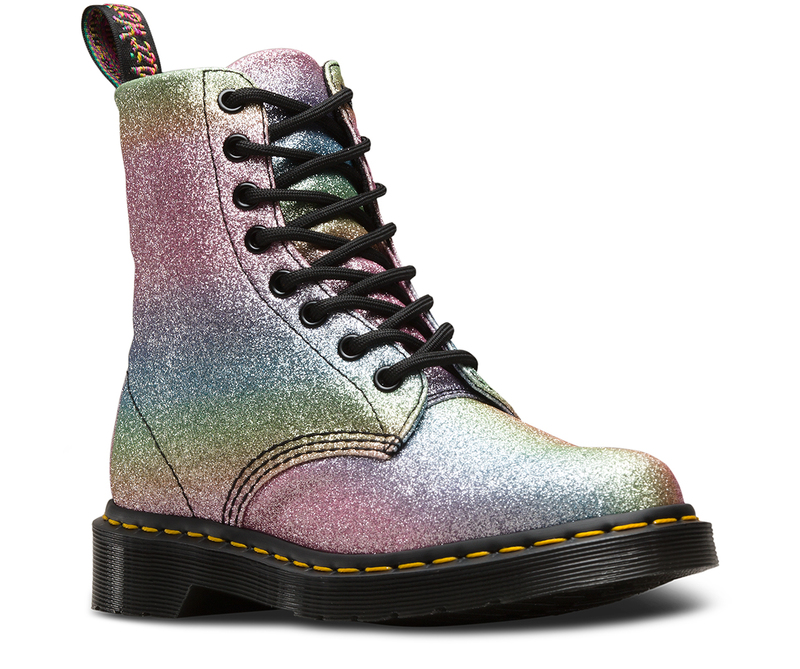 You might be thinking “Aren’t Doc Martens a bit clunky for a wedding? How can they look elegant and stylish?” e beg to differ. For grooms, when paired with a suit, black Doc Martens could pass for smart black shoes. And for the ladies, there are wide variety of patterns and colours to choose from which will add a unique style to your outfit. Another incredibly versatile shoe and actually a pretty popular choice for all sorts of weddings, Converse can look cool, keep you protected from the elements and – most importantly – keep you comfortable. For both brides and grooms, why not go for a colour pop? There are so many different colours and styles to choose from, so you can find the pair that match your wedding’s colour scheme perfectly. At the more formal end of the options we’ve picked so far, a pair of ankle boots is a great way to make your festival wedding outfit a touch more formal without getting your feet wet or muddy. Whether it’s black leather, tan suede, heeled, Chelsea boot or cowboy-style, you’ll be able to find the style that fits you and your special day. Ok, bear with us a second. Is there anything nicer than feeling grass under your feet? And wouldn’t no shoes be so much easier and more comfortable? This option is definitely not for the faint of heart, and probably should be avoided if your wedding venue is near or on a farm, or it’s been raining. But other than that it’s a solid choice! You could even dress them up with “barefoot sandals”. There you have it – a variety of festival wedding footwear choices suitable for any style, theme and (in some cases) weather. If you’d like more inspiration for your festival wedding, whether that’s clothing, venues or food and drink, keep an eye on our blog.